Disney Frozen Monopoly Junior $14.99 + FREE Prime Shipping (Reg. $17)! You are here: Home / Great Deals / Amazon Deals / Disney Frozen Monopoly Junior $14.99 + FREE Prime Shipping (Reg. $17)! Here’s a super cute game deal for you! 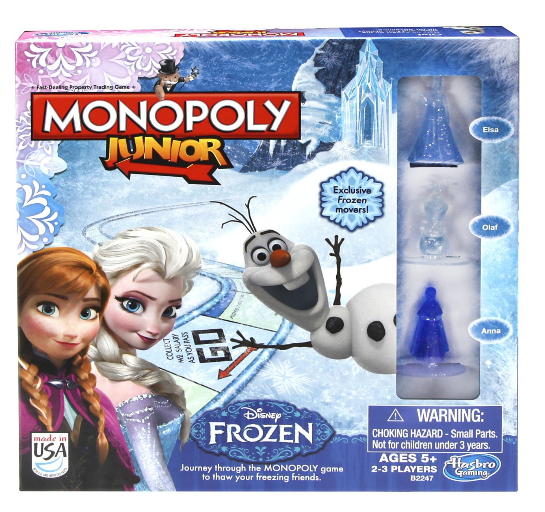 You can get the Disney Frozen Monopoly Junior Game for only $14.99 (Reg. $17) right now! My kids would go crazy over this so I’m adding it to my cart as I type!